Lipstick was thought to be first invented by ancient Sumerian men and women around 5,000 years ago. Makeup was made by crushing gemstones to decorate the face, particularly around the eyes and the lips. Which sounds great to us; eye shadow and lippy in one. A less flashy way of making it (if you couldn’t get your hands on gemstones) was to procure the stain from naturally occurring substances such as fruits, henna, clay rust and insects. It would be fair to say that the Egyptians were the first real lipstick lovers. They loved it so much that some of the substances they used, such as lead and iodine, led to diseases and sometimes even death. Apparently women really do have to suffer to be beautiful. Their favourite colours were striking shades of red, purple and black. Some of the substances they used are still used today, like carmine dye. They also used squashed insects… lovely. It demonstrated social status rather than gender. 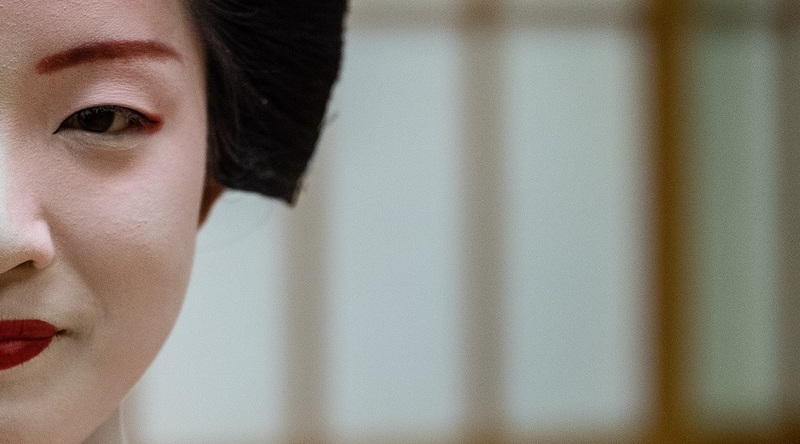 Women in ancient Japan wore thick makeup that involved lipstick, usually derived from tar and beeswax. The Chinese also used beeswax to protect the delicate skin on their lips, and added colour and scented oils to make their mouth enticing. This was when lipstick first became associated with prostitution. Prostitutes were obligated under law to wear dark lipstick. Christianity and puritanical beliefs were dominant in Britain in the middle Ages; the church condemned use of any makeup or lipstick heavily. It was thought that woman who wore red lipstick was a devil worshiper or an incarnation of Satan, it would also leave you suspected of witchcraft and sorcery. 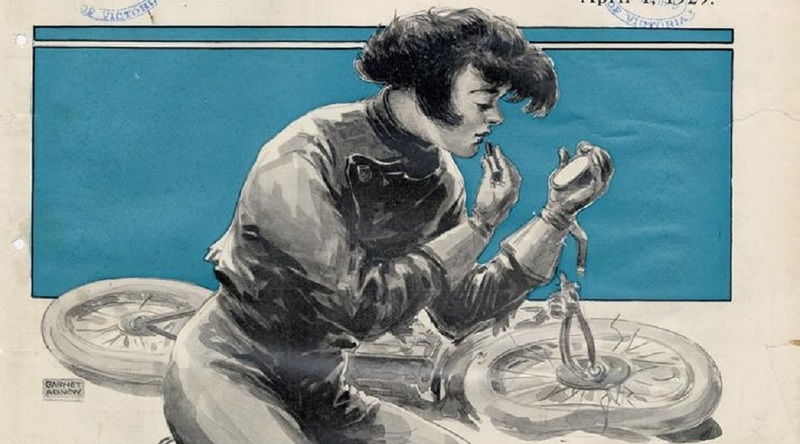 Again, it was also associated with prostitution, so other women had to make do with balms that were subtly coloured, or biting and rubbing their lips to make them redder. 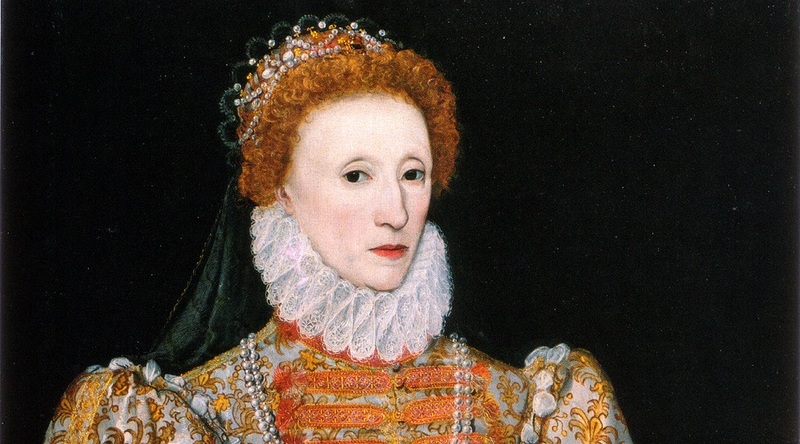 Queen Elizabeth I, who reigned in the 16th Century, is often remembered visually with pale white skin and red lips. She re-popularised lipstick, but the availability was limited to the nobility and thespians. She usually made her own crimson colour with a combination of cochineal, gum Arabic, egg whites, and fig milk. Elizabeth or one of her close associates also appears to have invented the lip pencil, which was made by mixing ground alabaster or plaster of Paris with a colouring ingredient, rolling the resultant paste into a crayon shape, and drying it in the sun. Queen Victoria publicly declared makeup “impolite,” and makeup became socially unacceptable for all but prostitutes and actresses. Lipstick, in particular, remained the least respectable of cosmetics throughout the century. Lipstick was common and popularized amongst nearly all women at this point. In 1923, James Bruce Mason Jr. made the swivel up tube and gave us modern lipstick as we know it today. The most popular colours were plums, aubergines, cherries and dark reds. This time coincided with the first wave of feminism, women were demanding the right to vote and lipstick was actually a symbol of feminism. 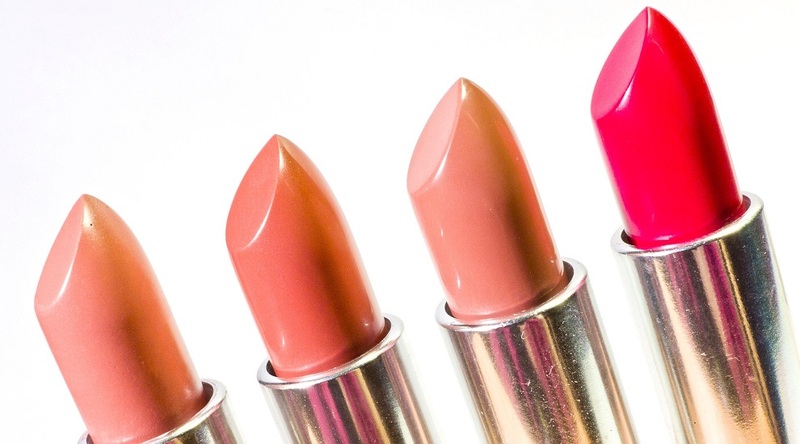 Companies like Chanel, Guerlain, Elizabeth Arden, and Estée Lauder also started selling lipsticks. The love of lipstick was not deterred by the great depression. 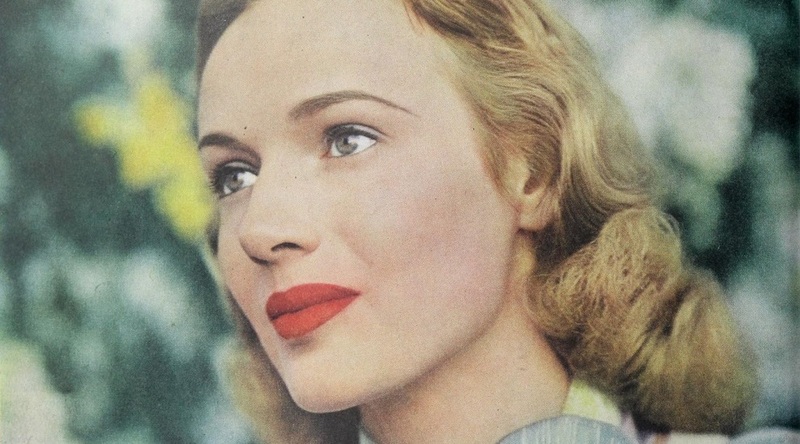 Women continued to wear lipstick as it was one of their few affordable luxuries. Elegant and matte finishes were popular and Max Factor started selling affordable lip gloss. During the war metal tubes were replaced with plastic and paper, though quality may have gone down usage didn’t. Women were encouraged to wear bright red lips to boost morale. The 50s in when glam icons such as Marilyn Monroe, Audrey Hepburn and Grace Kelly were setting the trends for lipsticks. For Queen Elizabeth II 1952 coronation she had her own shade invented to match her coronation robe, it was made by her favourite brand Clarins. Lipstick was popular with women and teenagers all throughout these decades. ‘Lipsmackers’ were invented, which were a flavoured lipstick, and this was obviously immediately popular with younger girls. Fashion houses started to launch lippys in the 70s, with Yves Saint Laurent leading the field. Coral, orange and shimmery shades all came into the limelight and hot pink lips were particularly popular in the 80s. 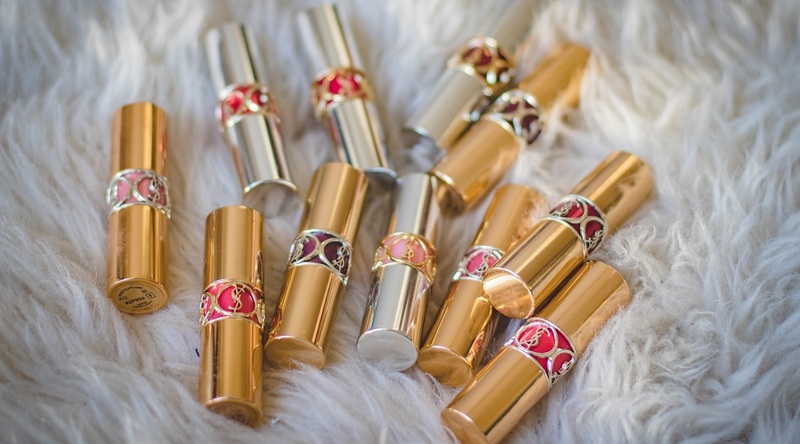 The French perfume company Guerlain became the first company to commercially produce lipstick. It was made from deer tallow, beeswax and castor oil which was then wrapped in a silk paper. Makeup was becoming more understated, with models such as Kate Moss sporting more of a ‘bare’ look. There was also more demand for cruelty free and environmentally friendly products. Think of the 90s and you probably think of dark lip liner with a light lipstick, or much lighter gloss. MAC and Urban Decay arrived. Lipstick now comes in any shape, size, colour, shade or formula, with the early 2010s really breaking new bounds with colours like black hitting the runways. Not just for goths any more. Whether you want a liquid lipstick, butter gloss or matte finish there is literally something for everyone. Prices vary from £1-£100 and everything in between. Next time you’re reaching for your MAC lipstick or your Bobbi, just remember to be grateful that it isn’t squashed bugs.